Before we dive into videos 21-25 I’d just like to take a moment of silence for all their fallen music video brethren that for one reason or another didn’t make it to the final cut. Specifically I’d like to give a shout out to MØ’s “Pilgrim” and Pogo’s “Wizard of Meh”, two fantastic videos I posted this year that unfortunately got disqualified for technically being from 2012, not 2013. Chins up, you guys. You’re gone off of this list, but not forgotten. You’d be hard pressed to find anyone that could argue that “Sweetest Thing” isn’t one of the best songs of the year, what with its catchy/infectious chorus, rubber-band bouncy beats and overall warm romantic vibes. You just like this song the instant you hear it and your love for it grows the more that you (inevitably) play it over and over. Lulu James sells this song 110% and the video does a great job of keeping its focus on Lulu and her amazing vocals, using a simple laser light display projected on her body to highlight the complex, yet surprisingly simple things going on with the melody. “Sweetest Thing” is definitely one of the most finely crafted pop ballads of the year and it’s worth at least one (or twenty) more listens before the New Year is upon us. Du Tonc’s “Rise” has a sort of magical, witching hour quality to it that’s totally embodied by this video. The subject matter in the video so perfectly matches the song that you would be forgiven for thinking that it was shot specifically for the song and not composed entirely of footage from 80’s movies, which it is. And what amazing choice of footage it is. Night cinematography never looked better than it did in the late 70’s/early 80’s. 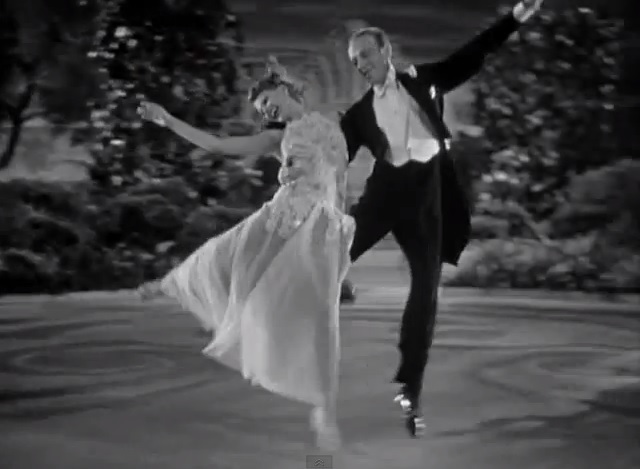 The wolf howls and the horror movie oOoOo’s of the chorus match up perfectly with William Peterson looking over his shoulder or the woman who changes into a creature of the night at the end, while the dancier aspects of the track match up with the surreal dance sequences in the heart of a mythical Las Vegas. You have to marvel at this video and how seamlessly it’s put together. It’s so deceptively simple that it’s not until after repeated viewings that you really appreciate the craftsmanship that was required to put it all together. “Border Line” has the simple beat and classic melody that already sounds like a throwback to something that would have appeared in an old school musical and David Dean Burkhart instinctively picked up on that to make this gem of a video. The lolloping rhythm of the beautiful acoustic guitar seems to skip and jump just like the feet of these outstanding dancers and their performances only magnify the simple elegance of King Krule’s song. In a year that was filled with so many great videos from David Dean Burkhart, this was a real standout. The production on “Chamakay” puts my jaw on the floor every time. From the delicate plinking of the toy piano to the gentle synth washes, to the intricate bass lines and sensual sounds of the saxophone, every note sounds like it’s being played live right there in your living room. There’s nothing in this song’s production that feels half-assed or slapped together. Everything about it feels personal and well-loved, and that carries over into the incredible vocals. Both Dev Hynes of Blood Orange and guest vocalist Caroline Polachek of Chairlift have put out some of the best work of their already astounding careers here. 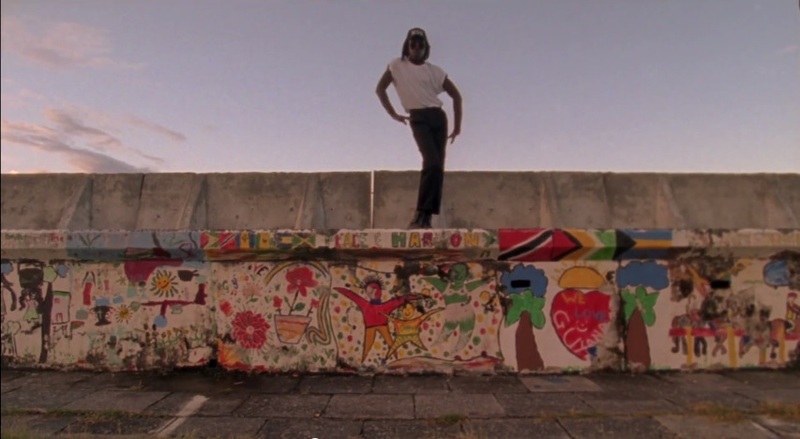 The video is equally intimate, shot when Dev Hynes went to Georgetown, Guyana for the first time with his mother, who was born there, to visit with some of his family, including his 92 year old grandfather, whom he’d never met before. The resulting moments captured on film feel very real and organic as he interacts with locals and dances in authentic settings, and a special shout out goes to those moments where he sings back and forth the chorus with his mother. It’s really quite the song and video and it immediately became one of my favorite songs of 2013 the moment I heard it. Lyric videos were another hot trend in 2013, specifically lyric videos that were actually worth watching in their own right. Traditional lyric videos of the past were glorified karaoke machines with even worse production values, if you can imagine that. In the early days of YouTube basically anyone could slap the least photogenic fonts they could find over a blank ugly background or worse, a picture that had nothing to do with the artist, and blamo, there you had a lyric video that you would always curse being tricking into clicking on because what you were really looking for was the official music video. Just recently artists have started to embrace the lyric video, most notably Best Coast in their lyric video for “This Lonely Morning” which made a lot of waves in the blogosphere by basically being a normal music video featuring the band and everything that just also happened to highlight the lyrics of the song as its primary focus. The reason I love this lyric video for Summer Camp’s “Fresh” so much is because of how perfectly it embodies the atmosphere and spirit of the song, so much better than the so-so official video that they later put out for it. The dorky dancing and retro animation perfectly trump up the swelling strings loop and nostalgic lyrics about remembering (and trying to forget) a first love. Suddenly slapping the lyrics over top of some footage seemed cool and trendy instead of lazy and played out. As a first impression of Summer Camp’s new album, this was quite the doozy. This entry was posted in Best Of, Music Videos and tagged africa, best of, Blood Orange, Caroline Polachek, david dean burkhart, du tonc, King Krule, Lulu James, matt van schie, mighty mouse, summer camp. Bookmark the permalink.